Altium (long ago known as Protel) has long distinguished themselves as the provider of PCB tools for the mainstream. They based their business on the notion that many designers and small design teams don’t have the budget, patience, or need for the big enterprise-scale board design tools offered by EDA companies like Mentor and Cadence. Instead, they focused on the “desktop” market, blazing trails in highly capable PCB tools that typically ran on Windows PCs. Over the years, the company has evolved their Altium Designer suite of board-level system design tools to a very respectable level, giving their larger EDA competitors a good deal of heartburn. Over a decade ago, in order to defend against the likes of Altium, the bigger EDA companies added “desktop” offerings of their own – PADS from Mentor and OrCAD from Cadence (both by acquisition). This allowed the big EDA folks to sell a low-cost desktop offering against Altium without cannibalizing or devaluing their expensive enterprise tools. Altium was undeterred. The company continued to shovel high-end features into their desktop tools, leaving their competitors with a tough quandary: add features to their desktop tools in order to stay competitive with Altium and risk pulling users away from their high-end offerings, or let Altium continue their climb into the big leagues. It turns out they did a lot of both. Eventually, however, Altium began to reach the limits of their underlying technology. Their underlying code base had gotten a bit long in the tooth, and they could not easily support the latest, fastest architectures with true 64-bit processors and multi-threading. Their Object Pascal development language was somewhat arcane and very unconventional for EDA, making it difficult for them to take advantage of some of the top-flight engineering talent on the market. Altium just announced Altium Designer 18, which may look like a modest change to the previous versions in terms of raw numbers of new features, but which includes under the hood a complete modernization of the software platform. The result is a major overhaul of the product with vastly improved speed, a cleaner (but still backward-compatible) user interface, and a modern software development environment to improve productivity (and therefore responsiveness) of the engineering moving forward. From this point on, Altium Designer should be a more modern tool and should be able to evolve more rapidly in response to user needs and competitive pressures. Altium Designer 18 isn’t without major feature updates, however. Significant new enhancements to the product include interconnected multi-board design support, upgraded human-guided autorouting, dynamic real-time BOM management and rule checking, and an integrated PCB documentation flow. These features clearly signal that Altium wants Altium Designer to be taken as a serious, professional, industrial-strength PCB design environment. The enhanced visual router “ActiveRoute” uses your rules and manual guidance to give tuned autorouting results with, according to Altium, “the quality of a human, but the speed of a machine.” If you’re pulling dozens to even hundreds of traces out of a BGA footprint, you don’t want to manually route each trace, but you also don’t want the typical mess you get from a fully-automatic router. You select the nets you want to route and provide a manually-drawn guide route to show the tool what you’re thinking. The autorouter then does the detail work for you, including following any length and phase-matching constraints you have applied for critical nets, for both single-ended routes and differential pairs. On the BOM management front, Altium has always had a robust set of capabilities for helping to make sure that you don’t design something that you can’t manufacture. With version 18, they have taken that capability to a new level my making the BOM dynamically managed as you design. For major components, it can check BOM rules as you go, making sure you’re not banking on a component you can’t get. But for small, less-critical items like small passives, decoupling capacitors, and so forth, you can wait until the end to go through the detailed selection and BOM verification process. Keeping the BOM checked as you go can alleviate some serious end-of-project surprises and should make your handoff to manufacturing go smoothly. Finally, while design documentation isn’t anybody’s favorite part of the project, AD 18 should make it a lot less tedious, giving you push-button automatic updates to documentation that is maintained in synch with the rest of the project data. Even if you’re not the most diligent documentor, AD 18 will help to make your boss think that you are. Engineering changes should be quickly reflected in the documentation so that the design and the docs end up matching at the end of the project. Altium now has a multi-tier offering for PCB design, starting with Nexus (the company’s enterprise-grade large team platform), then Altium Designer (the desktop/small team solution), and, finally, CircuitMaker and CircuitStudio (aimed at the Maker/Hobbyist/entry-level market). The company is particularly smart in differentiating the top two tiers based on team size and enterprise collaboration features, rather than board design technology. For far too long, design tool companies have equated “high end” with both support for large teams and support for complex design. In reality, many single-user teams require the most advanced design capabilities, and many large enterprises do not. Small teams should not have to navigate complex enterprise-level collaboration features (and pay higher prices) in order to get access to high-performance design features. Altium is also offering an optional power delivery network (PDN) analysis tool, bringing even more high-end design capabilities to their users. While Altium has traditionally lagged behind the bigger players on the simulation front, bringing in top-notch PDN capabilities signals that the company is making a serious play to compete with the high-end tools offered by their rivals. 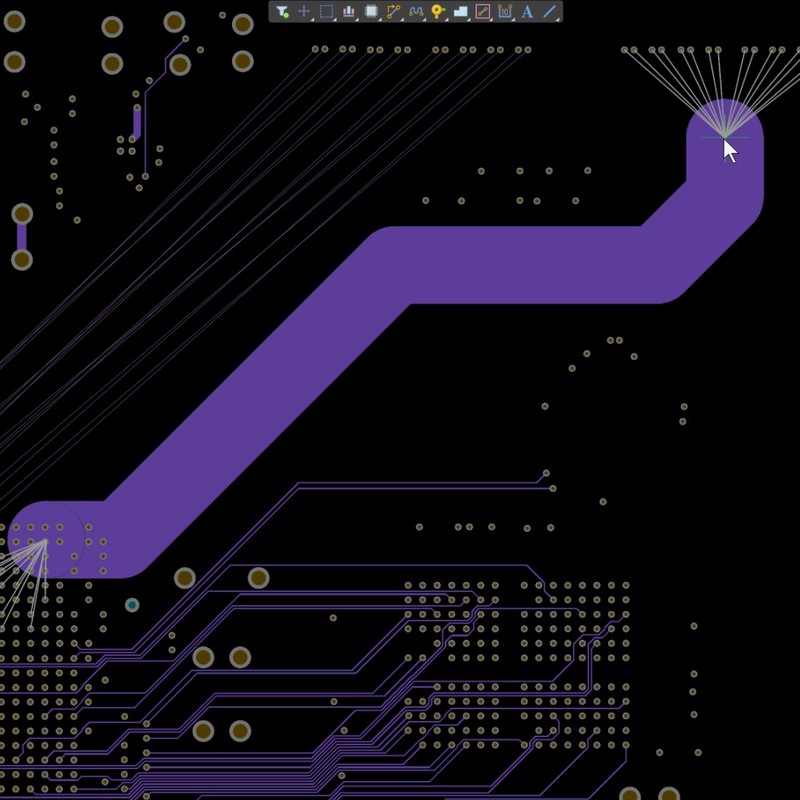 We’ve seen a tremendous amount of change at Altium over the past decade, and it now looks like the company has settled into a focused vision, aiming to become a major player in the modern PCB design tool market, but sticking to their roots of making approachable and accessible tools at comparatively low cost. It will be interesting to watch how Altium Designer 18 affects that dynamic.